Man’s best friend. Your amigo, your pal, your furry friend. Where would you be without your dog? Why should you leave your canine penned up and sad while you go out paddling across serene waterscapes? Whether it’s out on a lake to find that secluded rock structure or just casually paddling around the pond in your backyard, Paddle boarding is great exercise, stress relief, and a superb way to see nature. There are several considerations for a great boarding experience for both you and your dog to enjoy your time together and get the most out of every trip. Does your board have enough space for both you and your dog? Can your pup grip the board? How stable is the platform? 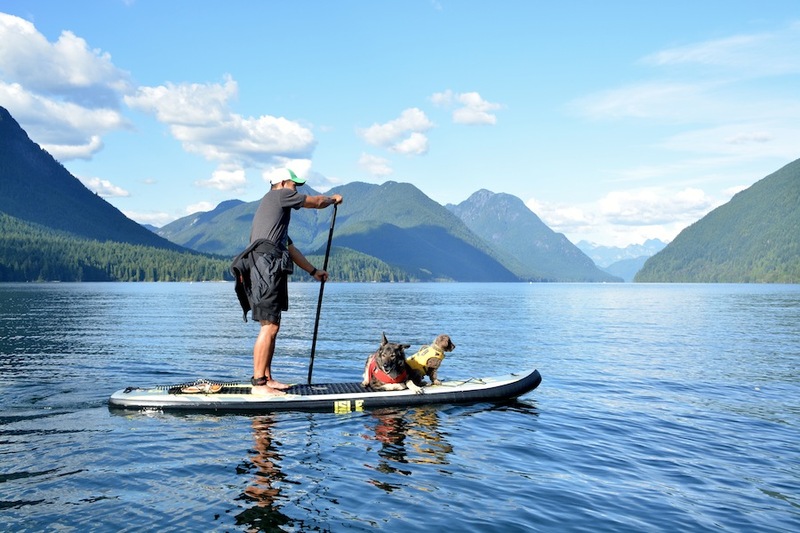 You know Fido does not want to stay home with the cat, so do yourself and Fido a favor, pick up one of these great paddle boards and go on an adventure! The ISLE Versa Epoxy board is ten and a half feet long, four and a half inches thick and thirty two inches wide. The length and the width of the board is important to consider when wanting a board to hold you and your dog. Choosing a board that is wider will allow your dog to stand comfortably on the board. The 32” width of this board is helpful for just that reason. 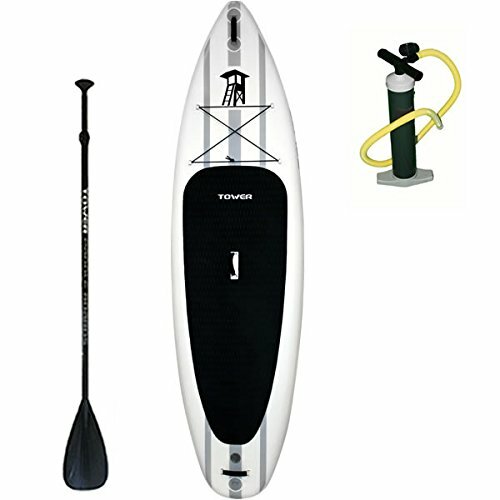 This board is also designed to accommodate a larger weight capacity out on the water. Since your dog will be increasing the weight riding on the board this is important to consider. ISLE designed this board to be able to carry up to 275 lbs. Among other features, this board is made from durable epoxy material with a comfort grip handle making it lightweight and easy to carry. The shape of this board not only has space your dog on the front, but allows other activities such as paddle board yoga, surfing or fishing. Another board measuring 10’5” long by 32” wide and 4.5” thick, PEAK has designed a board that is another great option for being able to take your dog along paddle boarding. This board is well designed to be durable and stable making it capable in many conditions, whether you are saltwater or freshwater boarding. Capable of handling up to 250 lbs. this board is designed to have the option to take a dog along with you on a boarding adventure. 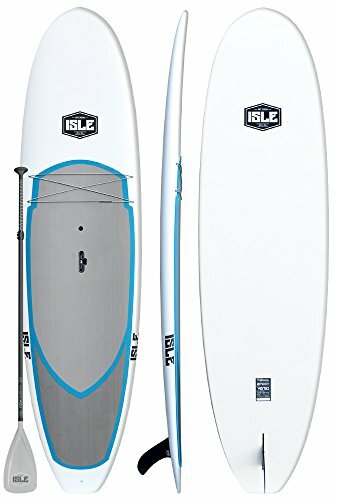 This inflatable paddle board is 10 feet 4 inches long, 6 inches thick and 32 inches wide, providing greater stability on the water. The board features a comfortable non- slip, soft top as well as an increased thickness in comparison to other boards. This increased thickness is designed to prevent cracks. Being an inflatable board, it easily inflates and deflates. When deflated the board rolls up for easy and convenient transportation. Even though it is an inflatable board, it is constructed of a military-grade PVC material designed to prevent dings, allowing it to not be damaged by a dogs claws simply from the dog standing or walking on the board. 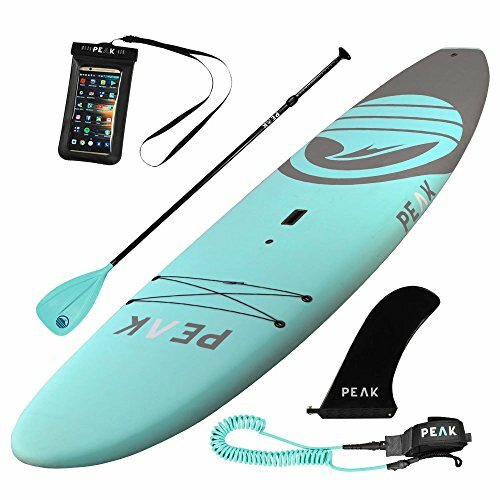 This paddle board is marketed as the most advance inflatable paddle board on the market. Built with the advanced Fusion Laminated Drop Stitch Technology this board is ultra-light yet extremely stiff and durable. Since this model board was designed for Yoga and beginners, it measure ten feet, six inches long, by 34 inches wide which means it has ample space for you and dog. The weight capacity is also a unique feature on this boards. The board is rated at 300 lbs, however, if being used by experienced borders, it could handle more weight. So if you have a bigger dog, then this might just be the board for you! Measuring in at 10 feet 6 inches and 33 inches wide this paddles board is rated at being able to handle 350 lbs. 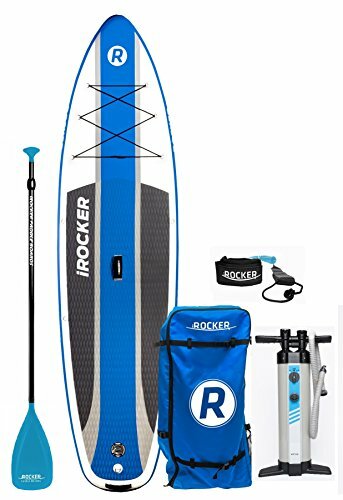 The design of iROCKER’s Cruiser allows for great stability when traversing the waters you’ve chosen for your adventure. A unique feature of this board is the backpack carrying case that comes along with it for easily transporting the board once it has been deflated. 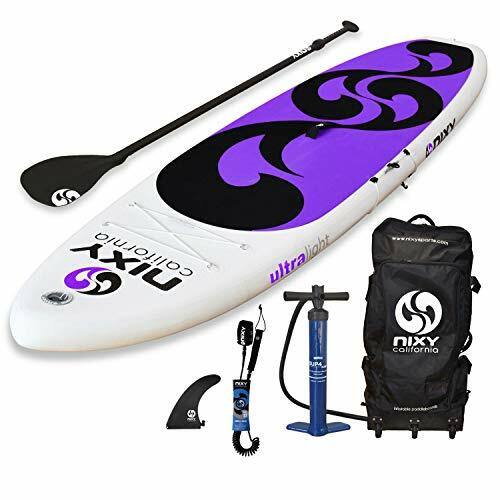 When fully inflated this is one of the larger paddle boards, but definitely one of the more convenient designed boards to own! As you can see, there are a lot of excellent paddleboards for dogs. Any one of these will help your furry friend get the exercise that he needs! Do you have a favorite paddleboard you’re looking at? Let us know what it is in the comments section below! We’d love to hear from you!